In November 2012, Sister Diane Walsh, who is an Odd Fellow in the jurisdiction of British Columbia and a member of Odd Fellows Lodge #1 in Victoria, was invited as a guest to attend a banquet in the District of Columbia in Washington DC where she met with members of Friendship Lodge and commemorated the connection between BC and DC Oddfellows. In addition, she was able to archive stories and revitalize the importance of cross-border relationships in preparation for the Grand Sessions in 2014 which are to take place in Victoria Canada. Bro. Frank Gover receives his 65-year membership medal in IOOF! We love you Frank! Bro. 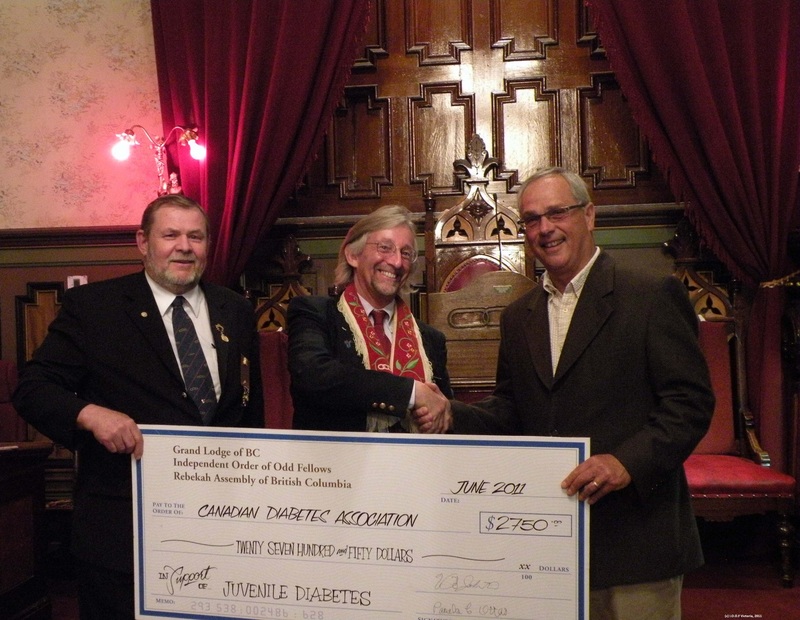 Frank Gower; and (on the right) visiting from the US associate member of Lodge #1 – Bro. 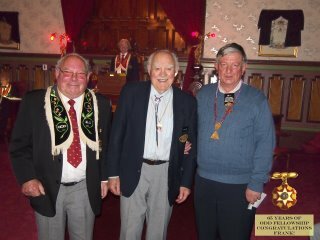 Peter Geolot, Past Grand Master, Sovereign Grand Lodge (of Washington, DC “Friendship” Lodge). Thank you Bro. Beck and Bro. Jerome Peacock! IOOF Victoria BC has completed the selection process Feb 20, 2012. Update and media of event to follow.